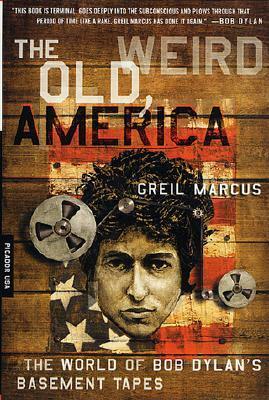 "In the case of Greil Marcus we have a critic who has stared too long at the page, listened too long to the same old songs, two critics fixed on their respective catalog of ideas and conceits who are now not speaking to a readership, or at least no readership other than themselves..." -- I fear this is an accurate reading of Marcus's book (which I have not read, though I've read Mystery Train as well as lots of Marcus in various publications). If The Old Weird America is a fun read in and of itself, well then I really don't care whether he gets his ostensible topic right or not. But I fear that Dylan's Basement Tapes songs -- probably my very favorite batch of tunes in Bob the Bard's catalog -- cannot stand the critical weight Marcus presses down upon them without collapsing into a batch of nonsensical shards. This IS Chicken Town, after all. I don't want Marcus confiscating the lace, if you know what I am sayin', brother.